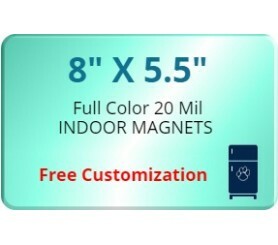 8 x 5.5 round corners – 20 mil is utilized as a refrigerator magnet and it can be preferred by advertisers who are working in extremely constrained budgets. 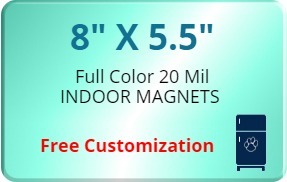 This magnet can be utilized for making any kind of business, social or regular announcements. Advertisers can always choose to hand it over as a value added gift or as a regular promotional item during some purchases. Product Size : 8 in. x 5.5 in.